Community Pride cleanup at Triplett Creek: Friday, April 12, 11 a.m. to 4 p.m. Participants will meet at the memorial tree walk pavilion. Bags and gloves will be provided. Dress appropriately and bring your own drinks and snacks. Arbor Day community tree planting at Triplett Creek: Tuesday, April 16, 3 p.m. to dusk. Participants will meet up in the splash park parking lot and will plant tree seedlings along the stream bank. Dress appropriately and bring your own drinks and snacks. Campus-wide Earth Day Celebration: Friday, April 19, 11 a.m. to 4 p.m. 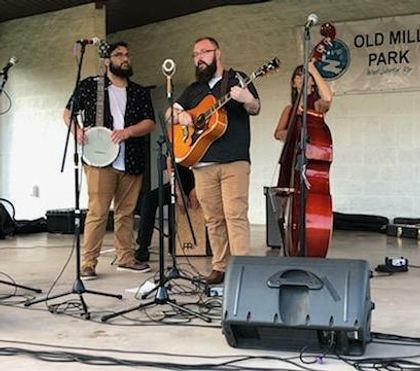 The event will feature a plant and vegetable sale, environmental information booths, demonstrations, eco-friendly games and activities and a free concert featuring Byrd Law, The Kentucky Center for Traditional Music, The Woodsheep and Bedford. Community Pride cleanup at Lockeegee Rock: Friday, April 26, 10 a.m. to 4 p.m. Participants will meet at the trailhead to Lockeegee Rock. Bags and gloves will be provided. Dress appropriately and bring your own drinks and snacks. Earthwise Eagles is the official name for the MSU Sustainability Committee. The committee works across campus to engage students, faculty, staff and community members in sustainability events, projects, education and volunteer work to promote a culture of social, economic and environmental responsibility on campus and in the community. For more information on sustainability efforts at MSU, visit http://www.moreheadstate.edu/earthwise, email Holly Niehoff, director of environmental health and safety, risk management and insurance, at h.niehoff@moreheadstate.edu or call 606-783-2179.